Mike Huckabee, possible presidential contender in 2016, appeared on CNN's State of the Nation on Sunday, telling the audience that being gay was like choosing to drink alcohol or swear. He explained that forcing people of faith to accept gay marriage was "on par with telling Jews that they must serve 'bacon-wrapped shrimp in their deli.' "
“We’re so sensitive to make sure we don’t offend certain religions, but then we act like Christians can’t have the convictions that they have had for over 2,000 years,” Huckabee said. Obviously Huckabee will be making his cultural conservatism a cornerstone of his presidential bid again. “I accept a lot of people as friends maybe whose lifestyle I don’t necessarily adhere to, agree with or practice. 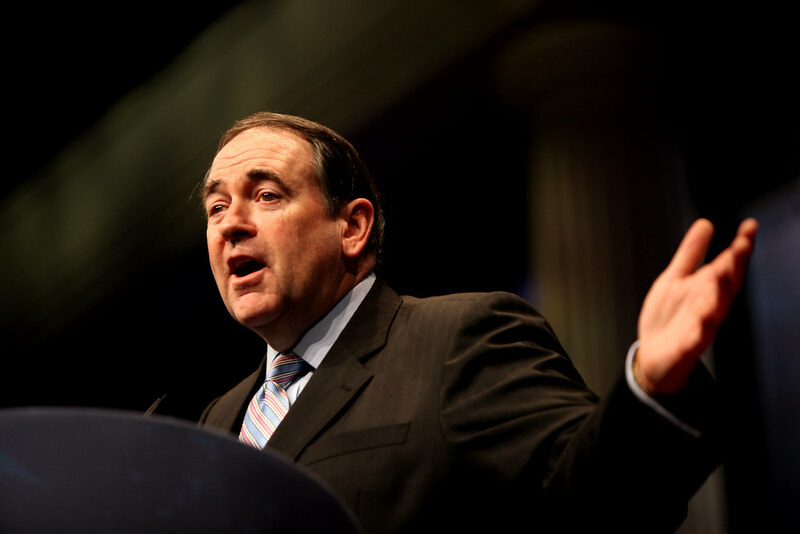 Doesn’t mean that I can’t have a good relationship with anyone or lead them or govern them,” Huckabee said. “I don’t chuck people out of my circle or out of my life because they have a different point of view. I don’t drink alcohol, but, gosh, a lot of my friends, maybe most of them, do. You know, I don’t use profanity, but, believe me, I have got a lot of friends who do,” Huckabee said. Huckabee recently made headlines for criticizing the Obamas for allowing their daughters to listen to Beyonce's music.